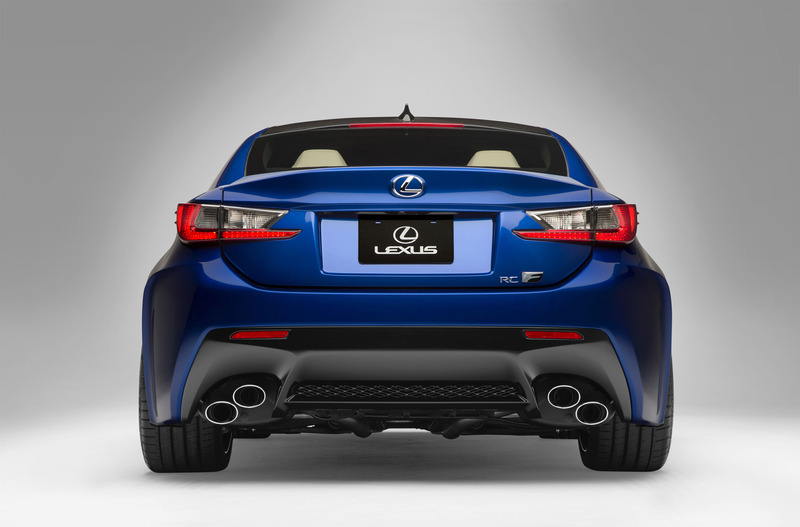 There’s no mistaking the sense of purpose in the styling of the new Lexus RC F coupe, a car that projects its high performance qualities in every carefully crafted curve and plane. 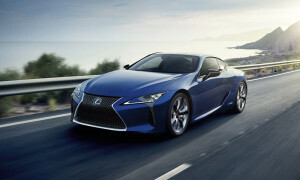 Looking good is one thing, but Lexus’s focus was to produce a design that also fully supports the car’s dynamic potential. 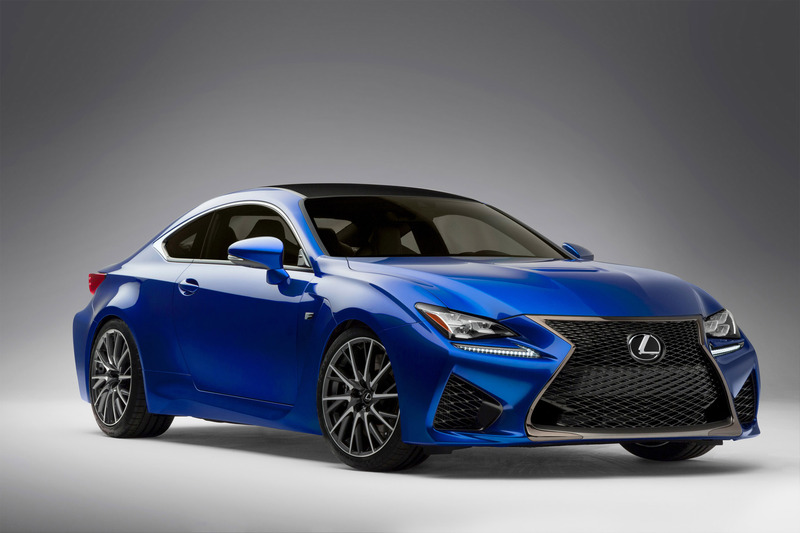 The RC F’s striking appearance has been developed from the show-stopping LF-LC and LF-CC concepts Lexus revealed in 2013. The guiding principle was functional beauty: every element of the exterior styling has been designed to maximise either aerodynamic or cooling efficiency. The front end is anchored by a new interpretation of the hallmark spindle grille, this time with a double-spindle effect with a graduated F-motif mesh grille that helps ventilate the 5.0-litre engine and, via apertures in the outer corners, ducts cooling air to the front brakes. The importance of cooling is reflected in additional grilles in the outer spindle shape, located to direct air to the oil radiators. 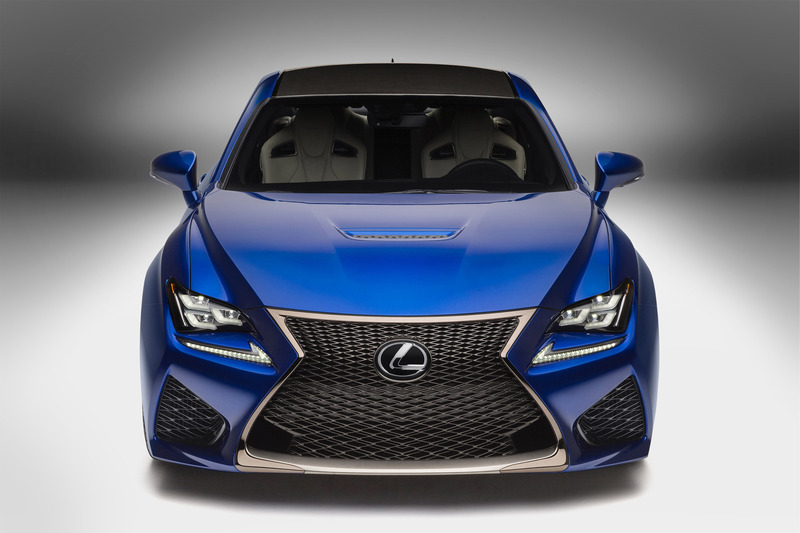 Above the main grille, the signature three-LED lamp headlight design is underscored by separate LED running lights arrayed in the Lexus L motif. Using technology developed in World Endurance Championship racing, a small, thermostatically controlled cooling fan is fitted behind each lamp cluster to secure the best possible operating efficiency over an extended lifetime. Outlets in the top of the bonnet and in the wings behind the front wheels vent air from the engine bay and brake discs. The smooth flow of vented air over the top and sides of the car contributes to high-speed stability. The far edges of the front and rear bumpers have been shaped to direct air smoothly along the side of the car, while front and rear wheel spats reduce the amount of airflow hitting the tyres. Liners in the wheel arches – with a different design for the front and rear – reduce air turbulence around the wheels. Aero-stabilising fins integrated in the door frame moulding next to the door mirror and in the rear combination lamps also promote straight line stability and suppress vehicle wobble when turning. The rear lip of the boot incorporates a four-link active rear wing to optimise airflow and generate downforce for added stability when driving at high speed. The wing is automatically deployed at speeds above 80km/h (50mph) and retracts when vehicle speed falls below 40km/h (25mph).The driver can also control wing deployment at any time from the cockpit. 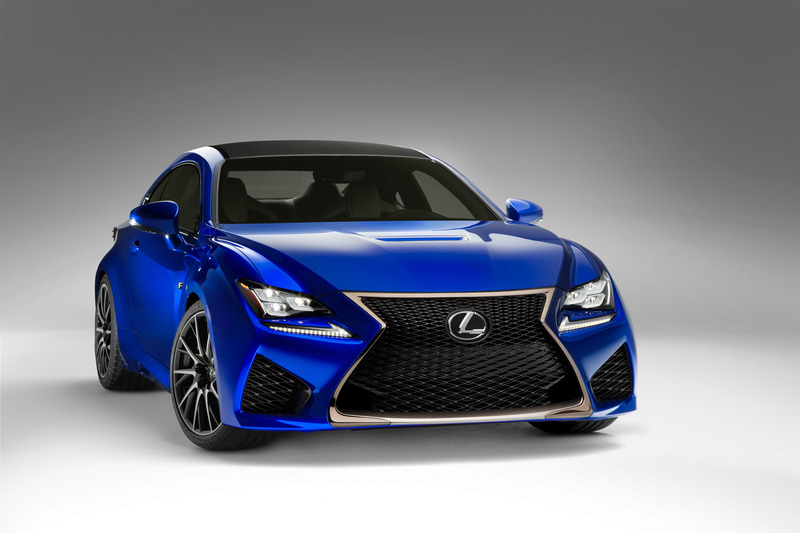 Using advanced materials technology developed by Lexus for the LFA supercar, the RC F Carbon features a bonnet, roof and rear wing fabricated in lightweight Carbon Fibre Reinforced Plastic, reducing the coupe’s overall weight by around 10kg. The underbody features comprehensive aerodynamic measures to smooth and control airflow beneath the vehicle. Undercovers for the engine, transmission and centre and rear floor sections incorporate aero stabilising fins to suppress turbulence and smooth airflow. The rising rear floor undercover also has rectifying fins to ensure a smooth flow of air away from the underside of the car.